Shire Workspace Apex Garden Shed: The Shire Workspace Shed is a perfect work space area. With the option to position the windows on either side you would like to optimise light for space. The double doors allow easy access and is perfect for the hobby shed, workshop space or even a simple storage shed. 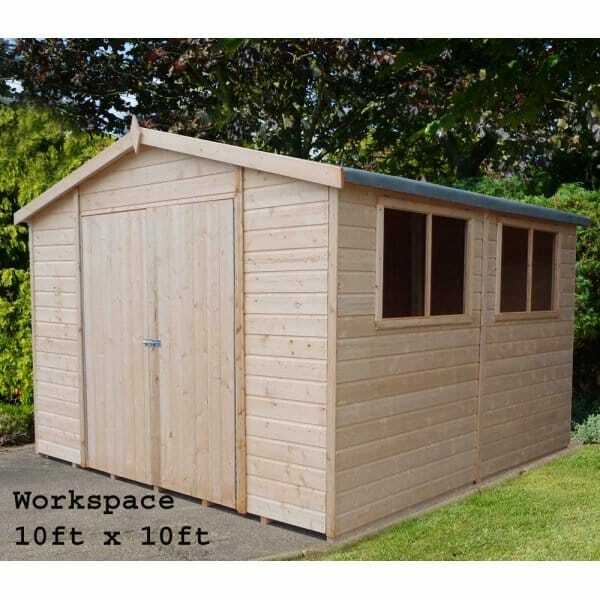 This Shire Workspace Shed is available in 3 sizes so you have a few options to choose from. The robust framework ensures stability and longevity for whatever use you have for this shed. Frame: A robust Planed 44mm x 44mm Framework in walls and floor that gives the Shire Workman Workshop its Rigidity.